8:15pm–#Bridgeport CT–Report of a stove on fire at 299 Berkshire Avenue. Firefighters on the way. 7:50pm–#Bridgeport CT–Firefighters are on scene at Bridgeport Hospital confirming smoke on the third floor. They are trying to locate the source. We will keep you posted on this thread. 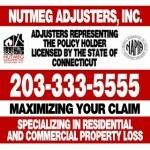 2:08pm–#Bridgeport CT–On the 1200 block of Iranistan avenue copper was stolen from a house. 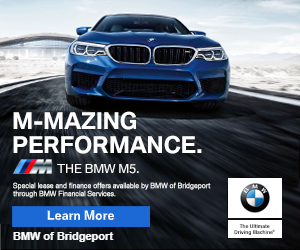 12:49pm–#Bridgeport CT #cttraffic–3 car accident Route 8/25 northbound near exit 5 in the left lane. 12:41pm–#Ansonia CT–Possible electrical fire at 100 Division Street at the Cosmo Prof. Firefighters on the way. Woods End Deli Weekly Specials! 11:00am–#Bridgeport CT– A commercial burglary occurred over the weekend on Crescent Ave.
Woods End Chef Fred serves a Great Brisket Sandwich !! 2:11am–#Bridgeport CT–Smoke coming from a roof at Deacon Street and Seaview Avenue called in by police on routine patrol. Firefighters on scene confirming smoke from the house.